Tennant and Azlan abseiled down the 17-storey Amelia tower at the event yesterday. LONDON CITY ISLAND (July 17): Property developer Ecoworld Ballymore Holding Co Ltd has completed and handed over the first tower of phase two of London City Island (LCI) development six months ahead of schedule yesterday. Named Amelia, the 17-storey tower comprises 200 units of homes with five configurations – studios, and one-, two-, three- and four-bedroom units. Built-ups range from 400 sq ft to 1,400 sq ft while prices range from £300,000 (RM1.61 million) to £1.2 million (RM6.45 million). To date, Amelia is 99% sold with 40% of the buyers being Malaysian. Among some of the facilities in the development include hot stones, a hydro pool and a private resident's lounge. 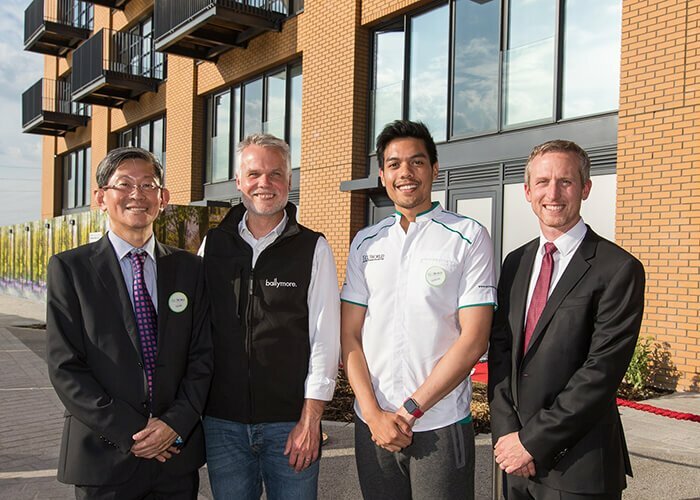 EcoWorld International Bhd (EWI) president and CEO Datuk Teow Leong Seng who was present at the event on site today noted the completion of Amelia is a significant milestone for Ecoworld Ballymore, as this is the first completed project in London under the JV company. "We have sold RM8 billion worth of projects [under EWI] but we are unable to recognise any revenue till this point of time, because in Australia and the UK, the accounting basis is on a completion basis. “Over the last three years, we have been working hard on building [projects], so it is very heartening to see this project [Amelia] completed. “We will be delivering one more tower in September and four more towers [in LCI] next year," Teow told the media after the building completion ceremony yesterday, adding units in Amelia have already been leased out within a week of their first handovers. 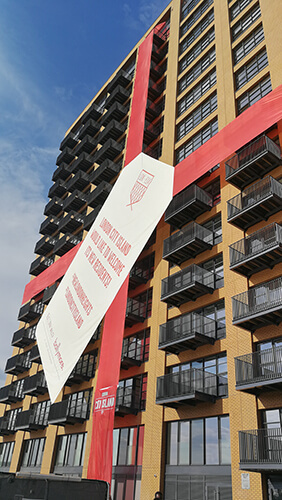 Meanwhile, Ballymore group managing director John Mulryan added that the unveiling of the Amelia building at London City Island is symbolic of their commitment to delivering high-quality homes for Londoners. "We look forward to welcoming new the residents to the island and to see the already thriving community grow," he said. Located in Leamouth Peninsula London, the 12-acre LCI is developed by EcoWorld Ballymore, a joint venture between EWI and Ballymore Group. The first phase of LCI comprising 561 units of homes was launched in 2013. It is now completed and the first residents are moving in. Subsequently in May 2015, phase two of LCI was launched simultaneously in London, Singapore and Kuala Lumpur comprising 1,130 private residential units housed over six blocks, 15 units of affordable homes and a commercial area. Prices of the units start from £850 psf (RM4569.27 psf) while the entire development has a gross development value of £693 million (RM3.72 billion). Some interesting features of LCI include a 260ft iconic red bridge linking the development to Canning Town. In Nov 2016, LCI welcomed the English National Ballet and English National Ballet School together with the London Film School. Ecoworld Ballymore has three projects in the UK. Besides LCI, the other two ongoing projects are Embassy Gardens in Nine Elms and Wardian London near Canary Wharf.